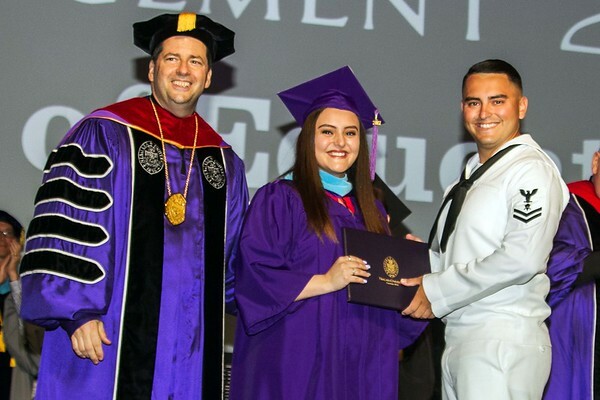 From left, Niagara University President James J. Maher, CM, Natalia Buitrago, and Jaime Buitrago at the Niagara University Commencement Ceremony Saturday morning. Jaime Buitrago has been deloyed in Cambodia for six months. He returned to surprise his sister at her graduation ceremony.